Iris started with CollegeHelp4You during 9th grade. She eventually became our first official SAT trainer and a National Hispanic Merit Scholar. Iris was accepted into Rice University, Dartmouth College, Boston University, Amherst College, Columbia University, and Harvard University. She received the prestigious Bill Gates Millennium Scholarship (http://www.gmsp.org/) which covered all costs for her bachelor's and future graduate degrees. Since graduating from Harvard University, Iris worked for the Carnegie Foundation for the Advancement of Teaching and is now in the process of receiving a graduate degree from the University of California, Berkeley. Iris believes that CollegeHelp4You provided a strong foundation for her tremendous success. 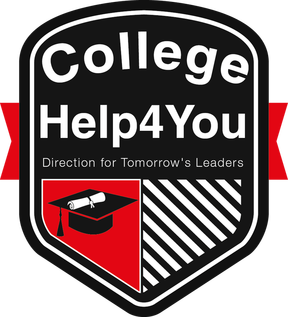 "It is comforting to know that there is somebody who knows what to do when applying to colleges and scholarships gets hectic"
CollegeHelp4You Senior John Benassai is attending Carnegie Mellon University this fall and will be studying business. He started with CollegeHelp4You in 8th grade. His sister Michelle Benassai was also in the program and now going to medical school. Both John and his sister were SAT trainers for CollegeHelp4You students. In this video clip John gives his Senior Speech at the CollegeHelp4You Senior Farewell held on May 14th 2016. What is your dream school? What is your plan?